Experimenting with mapping a data set with Leaflet, D3 and Canvas. 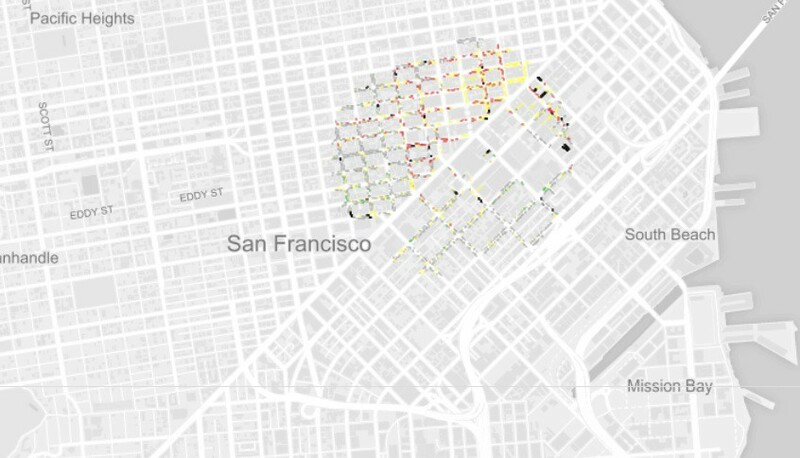 I used the San Francisco Parking Meters data set. Colors represent the type of meters. One cool thing I noticed, when I was starting to play with the data…I noticed that the black dots were clustered more closely than all the others. Why? Turns out, those are motorcycle parking meters.